Winter camping? Sounds mad, right? In fact, you'd be amazed how many campsites open in winter and, indeed, through all of the year for hardy camping types who love the solitude, seclusion and sense of adventure that camping in winter provides. Like hardy mountain sheep or wooly Highland cattle, if you've got the tools you need, then you can happily camp out, even at the frostiest times of year. If, like us, you pack the hand-warmers, fill the flask and venture out on camping holidays in wintertime, then this collection of recommended campsites will be perfect for you. From frosty farm fields to snowy woodland hideaways, every campsite in the list stays open during winter, with glamping options available too. Research the area: There’s far more to a campsite than just the grassy patch that awaits your tent. And, never more so than in winter, it’s important to know exactly what kind of facilities will be provided for you. Is there a drying room for damp clothing and hiking boots? Is there a sheltered, indoor space that you can hang out or is a kitchen of some kind provided? Some campsites that stay open during winter will still close some of their facilities outside of peak season, so check before you leave exactly what facilities will be available to you. Beyond the gates of the campsite, too, check out what amenities are nearby. Are there local shops where you can buy more supplies? Is there somewhere you can buy dinner if you want to avoid cooking out on the stove? Consider the important options before you choose the winter campsite you want to visit. Look for campfires and warm pubs: Nothing warms the soul in winter quite like staring into a log fire. Whether it’s a roaring fire in a village pub or a hearty campfire that you can sit around near your tent, a fire when winter camping is a very important ingredient. Check in advance if the campsite you plan to stay at allows campfires (and if they supply logs, kindling or fuel) and if they don’t ask about good pubs nearby. If it’s important to you, search specifically for campsites that allow campfires in advance, to make sure you find a suitable campsite. Prepare for the worst: You might have visions of frosty mornings, crisp, clear skies and your breath, hanging in the cold morning air as you unzip your cosy tent but you should under-estimate winter weather (or the unpredictability of the weather in the UK generally). Any camper knows that you should never trust the weather man and, when it comes to staying at a campsite in winter, it’s best to prepare for the worst. If you’re well prepared, you’ll already have picked a campsite with suitable shelter and facilities, but you should always prepare for bad weather. Make sure you’ve got plenty of food, lots of fuel for your camping stove (cooking and bringing things to the boil takes longer in cold weather) and plenty of layers and clothing. The wilder the campsite you’re staying at the more you should over-prepare, including thinking about safety equipment and first aid kits. If you’re really going off-grid in extreme environments consider things like snow drifting and avalanche risks. If the weather conditions look really bad (be wary of road conditions too) then consider postponing your winter camping trip. Don’t go alone: While one of the joys of camping in winter is, undoubtedly, the extra peace and quiet that campsites afford, it’s great to have company during the winter. Certainly for safety it’s a great help (especially if you are winter wild camping) and it’s also important for morale. The shortness of winter day means that, since you’ll be aiming to pitch your tent in daylight, the evenings are far longer. A good book, a cosy pub and a comfortable tent are all excellent companions but taking a friend along is our advice. There are plenty of dog-friendly campsites open in winter too, if you want to bring a four-legged friend. Get extra camping gear for winter: If you’re already a regular camper then you’ll already have much of what you need for a winter camping holiday but it’s well worth boosting your supplies so that you’re fully prepared. Firstly, of course, you’ll need a good winter sleeping bag. If you have a three-seasons sleeping bag (one rated for spring, summer, and autumn) you should be able to cope in the UK provided you add a sleeping bag liner but it’s worth investing a proper winter sleeping bag (often the ‘mummy’ style) that has extra insulation. A sleeping bag liner is designed to go inside your sleeping bag and, just as with your clothing, provides an extra layer for added winter warmth (a sleeping bag liner is a great investment for hot summer camping in Europe too – you can ditch the sleeping bag altogether and just sleep in the liner). You could also consider bringing extra rugs and duvets for further layers. A good sleeping mat or self-inflating mat is also very important. The ground will be cold in winter (duh) and a couple of groundsheets won’t be enough to keep the cold from reaching you. Big airbeds can also get very cold in winter time so, if you’re using one, place an old fashioned foam mat underneath it for better insulation from the ground. Self-inflating mats are also an option and the better models come with an additional insulation layer that is designed for this same effect. With all the extra equipment, be aware that you’ll also need a larger backpack than usual for winter camping. If it’s really cold, a sled can be a useful aid for towing your gear to your camping pitch and, of course, it’s a fun thing to have if it snows. A snow shovel may also be worthwhile too, if the weather is right for it, and smaller, fold-up ones are available at a reasonable price. There are plenty of other smaller items to think about as well. Hand warmers are a great shout and can be useful for your feet too, a hot water bottle is useful to pre-warm your sleeping bag and tent heaters are also available if you really want to go the whole hog. Remember a torch and plenty of lighting aids (it’s darker for much longer in winter) and bring extra batteries too. Insulated mugs are also a good investment. Wear hats, gloves and warm winter clothing: It should go without saying that you’ll need proper winter clothing if you’re spending a lot of time outdoors. Humans lose almost half their body heat through their heads, so wearing a hat is a no brainer (no pun intended) and a wind-proof hat is even better for when you’re outside erecting the tent. Take some thick winter gloves and try to also to think practically about what tasks you’ll be able to perform with the gloves on. It might be wise to bring a thinner, practical pair for doing tasks like putting up the tent poles, and a thicker pair for when you’re generally hanging around the campsite. Bring spares in case your main pairs get wet. Make sure you pack plenty of thick socks too. Layer up: Layers, not thick clothing, are the recipe to winter camping success. Multiple layers trap air pockets in between them, which, in turn, are warmed up and act as an insulating bubble. As a result, multiple thin layers are a far more effective way of staying warm than one big, thick layer and, generally, it also allows more flexibility too. Multiple layers also mean you can tailor your insulation to the weather, removing one or two layers as you heat up and adding them as you cool down. Look for the right fabrics too. Avoid cotton, which absorbs moisture and holds it, causing you to get cold and damp very quickly, and look instead for clothing that wicks your sweat away. A good, reasonably tight base layer, is a good idea. Trapping the warm air closest to your body, it acts like a second layer of skin and brings maximum insulation. Merino wool or synthetic materials are great for this and, if it’s really cold, you may even want a layer of both. Next comes your usual mid layers – a shirt and jumper or a warm, heavier fleece. You may want to consider fleece-lined trousers too. Finally comes your outer layers, which need to be wind-proof and waterproof to stand the test of any winter weather. This should be a decent winter jacket (down jackets are particularly popular but most aren’t waterproof, so you might need an extra shell too) and, if it gets wet, be sure to remove it before you crawl into the tent to avoid getting everything else wet. Don’t just think about your top half. Consider a couple of pairs of socks too – one thin, one thick – and remember you need to have enough room in your boots to allow for the thick socks. Gaiters and waterproof shell trousers can act as a good outer layer. If there’s snow around, a pair of snow boots with a good tread will also help. Get the sizes right: Everyone loves space and many campers love to have a tall family tent that lets you stand up fully, change clothes easily and not spend your time stopping down. In winter, however, the inside of your tent is your cosy air bubble of insulation and the bigger it is the harder it will be to keep warm. Make sure you take a tent that’s the right size for the number of people. The more snug the size the warmer you will be. The same rule applies to sleeping bags. Go for the right size for you to make the most of the insulation. Don’t be tempt to go for an oversized model to give yourself more space, as it will take more time to warm up and use more of your energy to keep warm. Look for maximum shelter: When you arrive at a campsite in winter you don’t just want to throw up your tent in any old spot. Think about the weather conditions, the wind direction and pitch your tent accordingly. Is there natural wind protection or walls that can you pitch near for shelter? Be careful of falling twigs and branches and, if it’s late autumn or early winter, be aware that, if you pitch under a tree, acorns, pine cones, leaves and so on may still be falling and the noise might keep you awake all night. 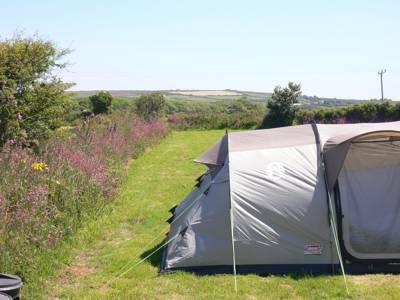 You also want to check that you are close to the amenities – toilets, if you’re on a campsite, and a fresh water supply – and, if you’re wild camping, make yourself aware of local landmarks and noticeable features in case you need to locate your tent in the dark or in snow and bad conditions. Arrive in advance: The days are shorter in winter and the nights are colder. It’s always wise to arrive at a campsite or your camping location with plenty of time spare, allowing you to pitch your tent easily in daylight. Arriving early also allows you to get your bearings locally before it gets dark. Remember to bring a torch and plenty of batteries too. Pack down snow: If you’re camping in snowy conditions be aware that your own body heat is going to play a role in melting the snow. You should be using a sturdy, well waterproofed tent anyway but bring an extra groundsheet to make extra sure the floor of the tent stays warm and dry. Packing down the snow where you are about to pitch also makes a big difference. By packing the snow together you will reduce the risk of the snow melting under your body heat and reduce the amount of melt-water created considerably. 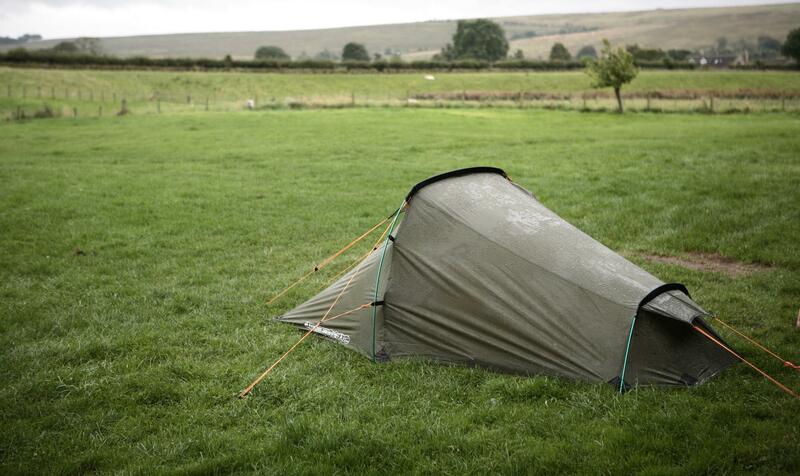 Take the right tent: Make sure you take a tent suitable to the conditions. Large family tents will be difficult to keep warm (see Get the sizes right above) and cheap, pop-up tents won’t withstand tough, windy conditions. Invest in a strong, waterproof, well-known tent (check product reviews online and visit an outdoors shop in person) and take an extra groundsheet to ensure the floor stays dry. Inflatable tents generally don’t withstand the wind in the way that a regular tent does. Consider buying extra strong poles, too, for particularly windy weather, while extra guy lines will also help keep the tent stable. More of a glamper than a camper? Love camping in the summertime but want something warmer when it comes to winter? If you adore being outdoors but don’t fancy braving the cold in winter, glamping is a fantastic alternative. Camping in winter often involves owning a lot of extra camping gear. 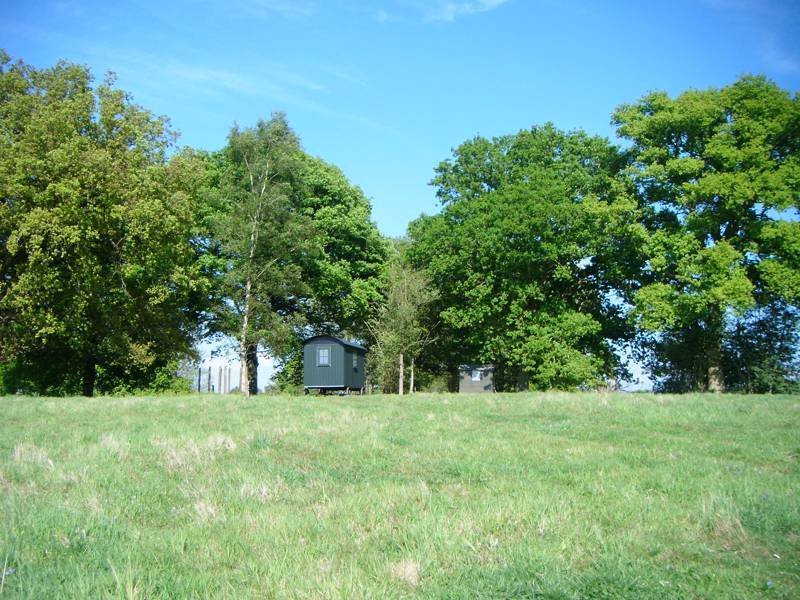 Glamping lets you cut down on equipment and keep it simple, meaning less hassle for you. In really cold weather, sturdy, year-round glamping accommodation is warmer, safer and offers better protection against high winds and rain. While more expensive than camping, winter is the cheapest time of year to take a glamping holiday. Not all glamping accommodation is suitable for winter. 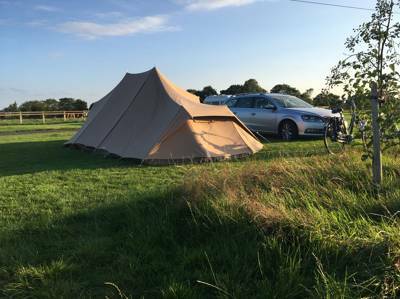 Glamping sites with bell tents, safari tents and canvas structures will generally close through the winter months but many forms of accommodation are purpose-built as year-round dwellings. 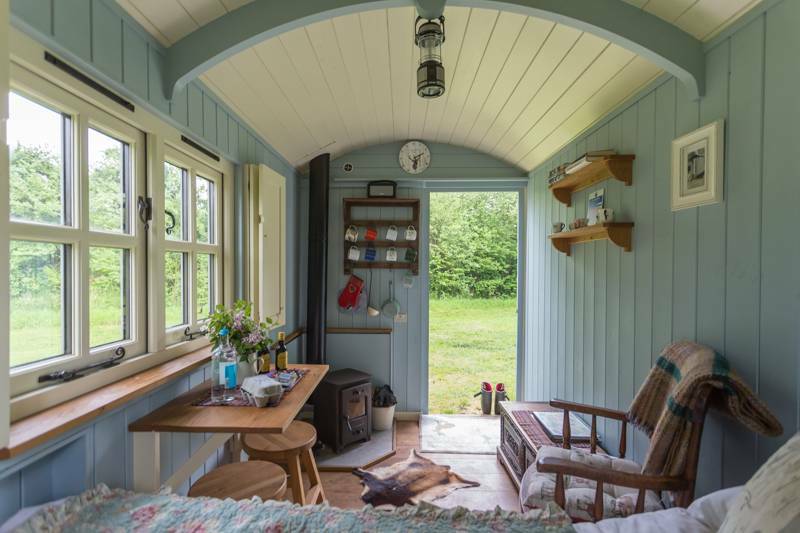 Shepherd’s huts and glamping pods in particular feature full insulation, electricity and heating, often with a wood-burner to stare longingly into. They have compact kitchens, plumbing and all the bells and whistles of a miniature self catered cottage and are a great option for winter glamping. Mongolian yurts, too, have stood the test of time and have been used for centuries on the Steppe of Outer Mongolain in the harshest of climates. Look for yurts with plenty of insulation and, of course, a wood-burner, and you’ll find they’re remarkably cosy (and atmospheric) in the winter months. For more information and a great range of year-round glamping options, visit our winter glamping guide. Halfway between the cold canvas of a tent and the fully-heated luxury of a winter glamping getaway, a campervan might just be the perfect option for your winter trip. Campervans provide the full, hard-shelled protection against the wind, rain and snow that you need in winter but also give you that authentic camping feel. Many campers still want that back-to-basics atmosphere and don’t fancy glamping as an option. If that’s you, a campervan might be the perfect answer. There are plenty of campervans for hire in the UK, from huge family motorhomes to classic VW vans and smaller models. We recommend many of the best right here on the Cool Camping website and, unlike campsites, you can be sure that every single business will be open all year round. To hire a van you’ll need a drivers license (obviously) but may also need to be over 25 years old in some circumstances. Each campervan hire company is different, however, so be sure to check the details specific to you. During the winter, you’ll not only want a sturdy, insulated, water-tight campervan, but you’ll want one compatible with electrical hook-ups too. Almost all hire vans will be like this but be sure to check your model, especially if you’re looking at older, classic campervans. Connecting to an electrical supply will allow you to heat your motorhome if it has heaters onboard and let you make use of electricity (which you’ll need on longer winter nights) without running down your leisure battery. Some campervan rental companies will have small, electrical heaters included and others will have them as an optional extra specifically for winter camping. Alternatively, many modern motorhomes will often have their own in-built heating system in both the driving area and the main living space. While hiring a campervan in winter may offer maximum convenience – no need to pitch the tent in the cold – there are new things you’ll have to think about. Electricity (see above) is one, while looking after your engine and pipes is another. In freezing winter conditions it’s important to protect your pipes from bursting. In below zero conditions, draining down the water tanks is the best way to avoid frost damage. If you park up at night in a freezing spot, try to keep the water tanks almost empty so the pipes don’t get cracked. Consider carrying a supply of drinking water inside the van at all times, too, in case the taps or pipes get frozen. 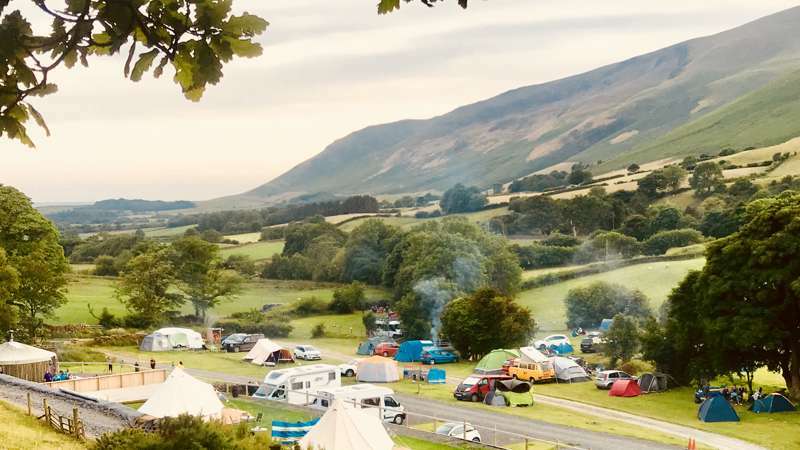 It goes without saying that you’re looking for a campsite that is open all year and that you’ll also need to be specifically searching for campsites that accept campervans. While part of the beauty of driving a campervan is that you can pull up on the side of the road and sleep for the night without booking into a campsite, it’s advised in the wintertime to stay at a designated camp ground. Although wild camping is legal in Scotland and permissible in many areas of the UK and Europe, you need to be conscious about your power usage in the colder months. It’s easy to run out of battery because of the demand for extra heat and light so finding a proper campsite is important. Remember to look for one that has all-weather pitches or hard-standings suitable for winter and, of course, let the campsite know you’d like an electric hook-up. As recommended elsewhere, we also suggest you find a place that allows campfires. Campervanning is all about spending time on the hoof enjoying the open road. It’s also about taking the slow road and, indeed taking it slow generally. It’s not a rush and, if you’re hiring a campervan for the first time, driving a bigger vehicle could be a new experience. It goes without saying that you should respect all of the usual laws and drive carefully, regardless of the time of year, whilst also being aware of things particular to a campervan, such as taking more care when overtaking. Know the speed limits, know the signs of the country you’re in and, of course, know what side of the road you’re meant to drive on. In winter, you should also be prepared for driving in adverse conditions. If you’re going to be going to areas where there might be snow, then make sure you’re carrying snow chains and know how to put them on (and take them off) the campervan – practicing before you leave is always wise. On top of that, always check the road conditions on your planned route before you set out and, if conditions are really hazardous, consider another route or postponing your trip. If you’ve not been campervanning in winter before or your hiring a motorhome for the first time, it’s easy to get carried away about how warm and easy it will be. Do be prepared. While campervans save the faff of pitching the tent and have many other perks (including heating), you do still need to be prepared for spending time outdoors and sleeping in wintery conditions. Follow all of our usual winter camping tips and bring plenty of layers of clothing to keep you warm. Throw in plenty of extra duvets, blankets and pillows too and also thing about helpful additions like water bottles. Finally, remember things like thermal layers, waterproofs, hats, gloves, thick socks and scarves or neck-warmers. Whether it's summer, autumn or the dead of winter, this collection of campsites open all year and year-round glamping locations is the perfect place to find your next camping destination, whatever the season. 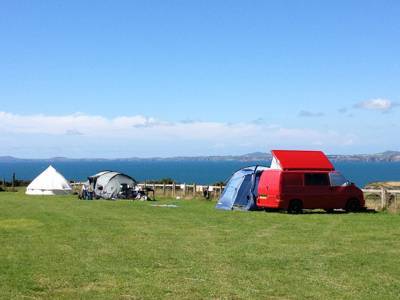 Every campsite is open all year, including winter campsites and autumn camping. Find the very best camping locations now. With pods and shepherd's huts, wood-burners and sheep's wool insulation, there's no reason to stop glamping when the summer ends. Discover the best year-round glamping sites with this inspiring collection of winter sites from the award-winning Cool Camping team. Treating your loved one to a romantic winter glamping break? Look no further than our carefully curated list of glamping spots, including campsites in Portugal, France, Italy and the UK. You’re sure to find a romantic retreat with your name on it. Glamping in winter? Not, it's not crazy. It's positively delightful! 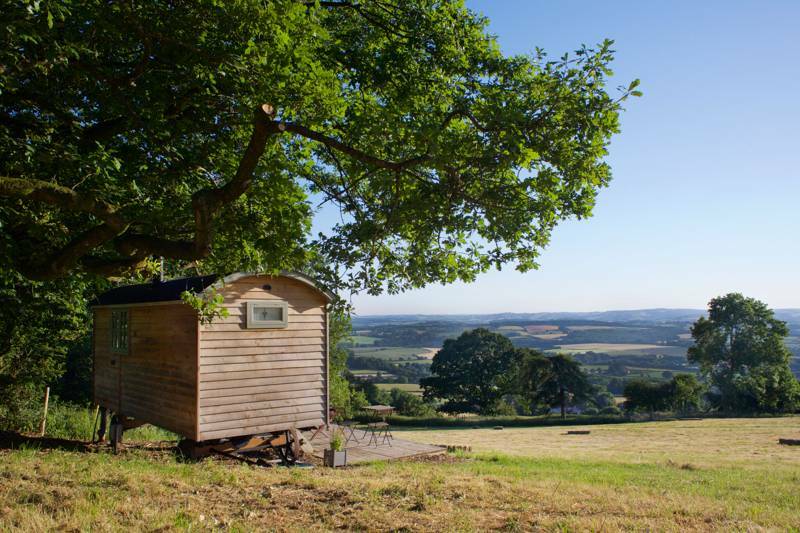 With wood-burners to stoke, frosty mornings to enjoy and incredibly cosy accommodation options to choose from, including pods, shepherd's huts and treehouses, there are plenty of reasons to go glamping in England in winter. 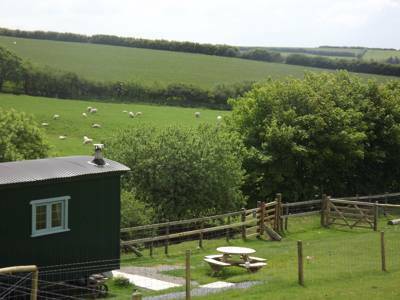 Discover the very best glamping sites in England open all year round here. at Campsites open in winter, Don't let cold weather stop you camping! Like hardy mountain sheep, we love being outdoors all year round, so we've put together this collection of incredible campsites that stay open in winter to help others find the best places to pitch in winter. 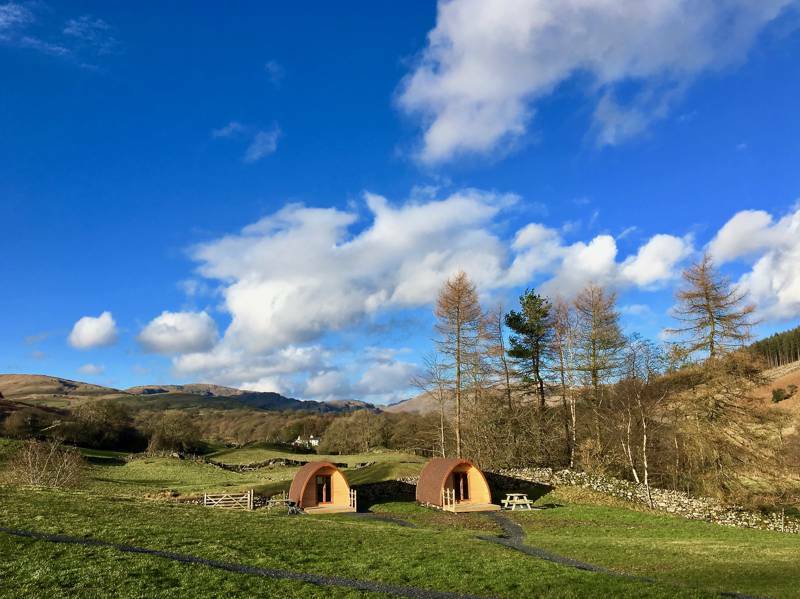 There are cosy glamping options too, from shepherd's huts to Mongolian yurts, plus loads of regular camping sites where you can pitch your tent.